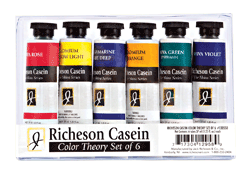 Perfect for color theory, casein has little color shift and mixes easily! 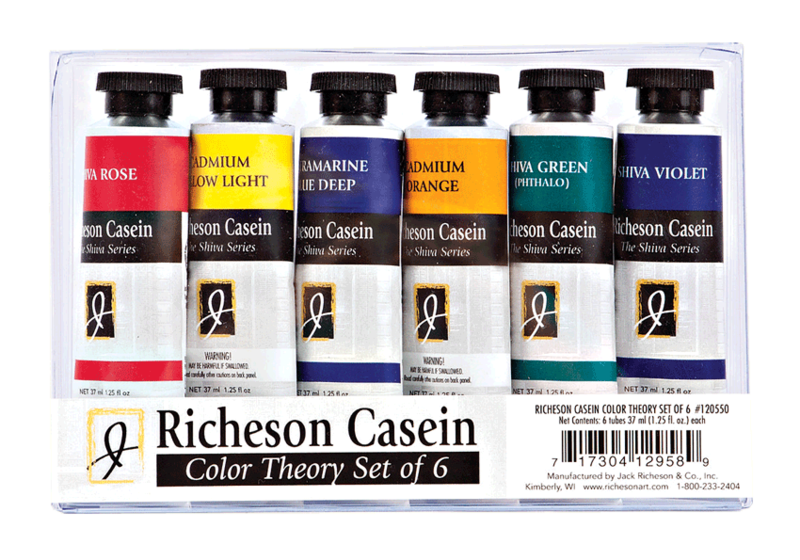 Set includes 1.25oz tubes of: Shiva rose, cadmium yellow light, ultramarine blue deep, cadmium orange, Shiva green (phthalo), and Shiva violet. 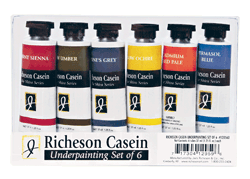 Water media and oil underpainting material now in a basic warm and cool color set for every painter! 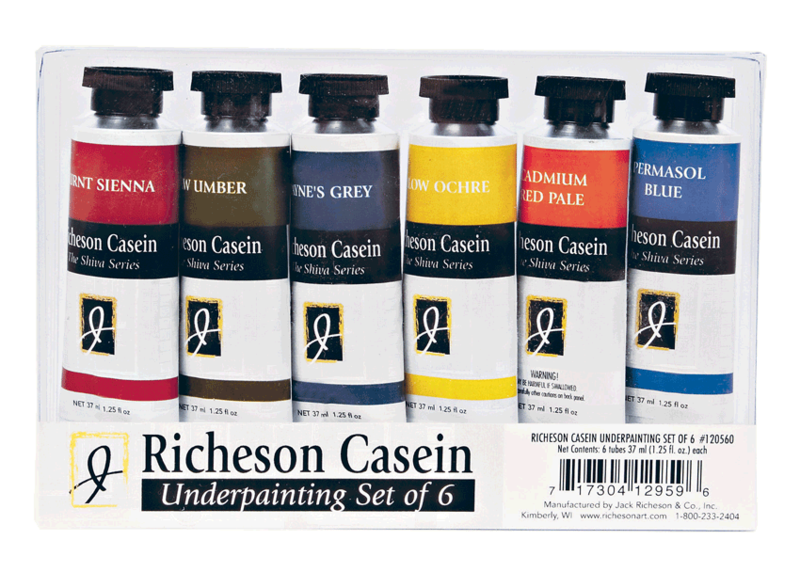 Set includes 1.25oz tubes of: burnt sienna, raw umber, payne's grey, yellow ochre, cadmium red pale, and permasol blue. 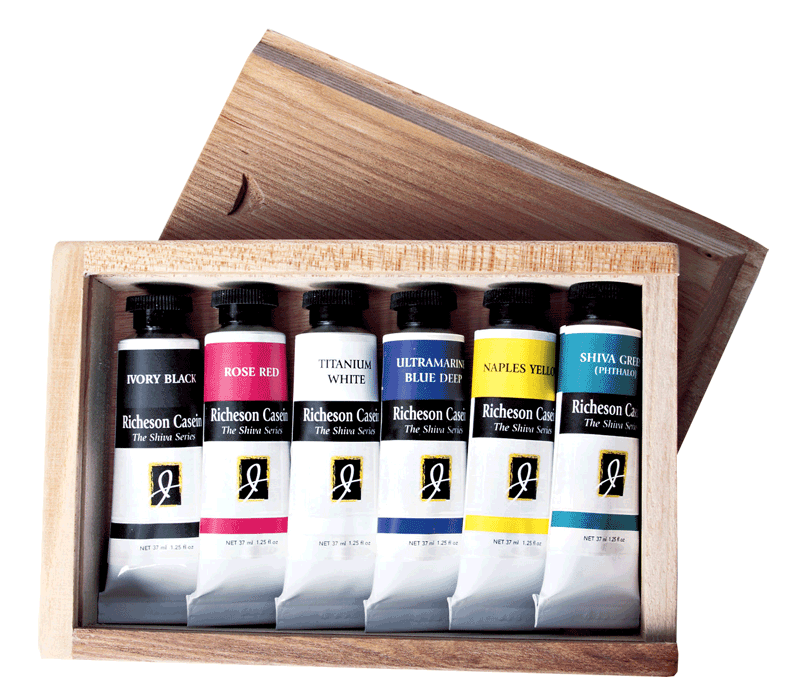 Includes: 1.25oz tubes of Titanium White, Ivory Black, Rose Red, Naples Yellow, Ultramarine Blue and Shiva Green (pthalo) in an elegant, slide-top wooden box.